Everyone who has ever sliced their finger instead of a vegetable or received a nasty paper cut knows that a skin infection can tend to make things a whole lot worse. Until recently, the absence of an infection was thought to rely solely on the activity of white blood cells (and the availability of anti-bacterial ointment). However, the skin could be getting a little healing help from fat cells, according to scientists at the University of California, San Diego School of Medicine. Researchers at UCSD, led by Richard Gallo, M.D., Ph.D., professor and chief of dermatology, say that fat cells below the skin help protect us from bacteria by producing antimicrobial peptides that help fend off invading bacteria and other pathogens. “It was thought that once the skin barrier was broken, it was entirely the responsibility of circulating (white) blood cells like neutrophils and macrophages to protect us from getting sepsis,” said Gallo, the study’s principal investigator. “But it takes time to recruit these cells (to the wound site). We now show that the fat stem cells are responsible for protecting us. That was totally unexpected." As it turns out, the researchers have learned, using mice, that the subcutaneous fat layer under the skin plays a key role in preventing skin infections like S. aureus, a common bacterium and major cause of skin and soft tissue infections in humans. These fat cells produce high levels of the antimicrobial peptides, which are used by the innate immune response to directly kill invasive bacteria, viruses, fungi and other pathogens. 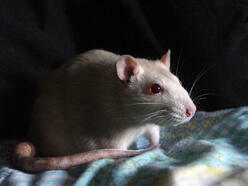 “The key is that we now know this part of the immune response puzzle. It opens fantastic new options for study. For example, current drugs designed for use in diabetics might be beneficial to other people who need to boost this aspect of immunity. Conversely, these findings may help researchers understand disease associations with obesity and develop new strategies to optimize care." In 2013, UCSD broke ground on the $269 million, 350,000 square foot Altman Clinical and Translational Research Institute Building, to be completed in 2016. This and other ongoing bioresearch projects are part of the reason UCSD is considered a leading venue for life science research, which makes use of millions of dollars in laboratory equipment and consumables every year. Ongoing research projects and continued funding and expansion of research facilities at UCSD represent a unique opportunity for lab equipment and consumables vendors to directly market their products to the well-funded and active researchers at the prestigious UCSD research institution. 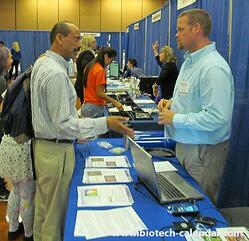 Biotechnology Calendar Inc. is holding the 34th semiannual Biotechnology Vendor Showcase™ Event at UC San Diego on February 12, 2015 and attendance is expected to exceed 500 influential researchers, lab managers, professors and post docs.